With spring in full bloom, Vancouver residents are ready and eager to put their green thumbs to work. But because the city isn’t known for its sprawling backyards and enormous lots, amateur horticulturists may be left wanting. The City of Vancouver has over 70 community gardens that allow residents to grow, tend, and harvest their own crops. Some of them include Sole Food Street Farms, which operates four urban farms, with three located in East Vancouver. Their fourth farm is probably the most well known as it sits on land donated by Concord Pacific and is located just steps from BC Place. Another notable urban farm that caught our eye is Hastings Urban Farm (HUF), located in the Downtown Eastside (DTES). In addition to veggies and fruits, this farm also produces honey! By bringing together residents of the DTES, the HUF also does its part in reducing poverty and crime. The Village on False Creek Community Garden is an urban garden that provides space to a community of residents that otherwise wouldn’t have an opportunity to grow produce and plant flowers. If you’re interested in joining an urban garden, My Garden Footprint is a great resource for garden locations and other fun information. It may or may not surprise you, but urban gardens have flourished all over the world—not just in Vancouver! An urban garden reclaims spaces that are either disused or repurposed. London’s WWII bomb shelters are a great example as the gardens make use of existing space that serves no other contemporary purpose. Detroit, a city that’s often in the spotlight for the state of its urban infrastructure, is trying to revive a deserted neighbourhood with what it’s claiming is the world’s largest urban farm . 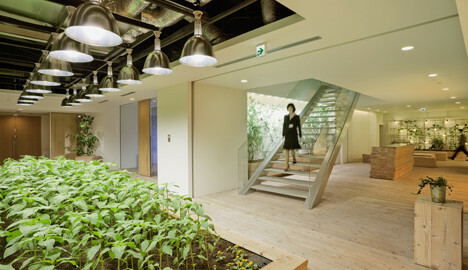 In Tokyo, a recruitment firm (pictured above) converted a bunch of space into a farm so that its employees can do some gardening on their free time. The food grown is also used at the company’s cafeterias to provide workers with locally grown and fresh ingredients. And while it’s not an urban farm in the way we normally think, a Bangkok skyscraper is home to a symmetrical setup of barrels that are slowly growing edible algae . Inspired yet? Grab a spade and get out there and enjoy the sun (while it lasts)! 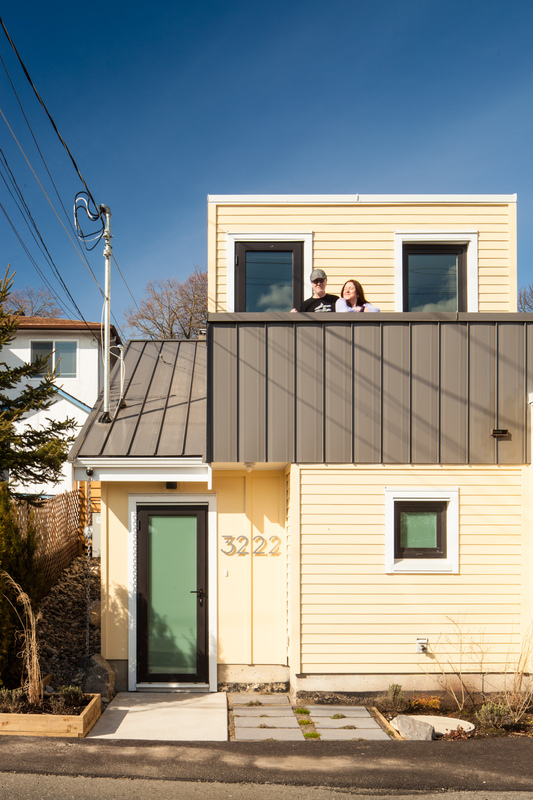 After more than a year, Vancouver Sun columnist Shelley Fralic revisits our laneway home, touring the completed space and chatting to our clients, Patricia Fraser and Cal Koat, about the ins and outs of small living. Patricia Fraser, our client and the lady who lives down the lane herself, speaks on CKNW about her new home and laneway living in Vancouver. Listen to the interview here (segment begins at 25.25).